Thank you so so so so much for 200 Google followers and 120 Bloglovin' followers! I'm overwhelmed. This time last year I had less than 50! Dorky, Fizzy and Quirky Stuff has been on an incredible journey over the year gone past; it has changed so much, and I have changed a lot too! So now I'll be going through each month like Dainty Sprinkles, Tolly Dolly Posh Fashion etc. did (they looked super cool) and I'll also be linking some of the blog-posts or series' I did in those months. And I'm linking some of the posts, like my favourites, in the month they were for, not when they were actually posted if you don't mind. Wait! Play this remix while you read, you won't be disappointed! good kickoff start to the following 11 months. I reached 50 GFC followers in this month, which is weird! I'm at 200 less than a year later! That was the first blog achievement of 2013. Whoop. 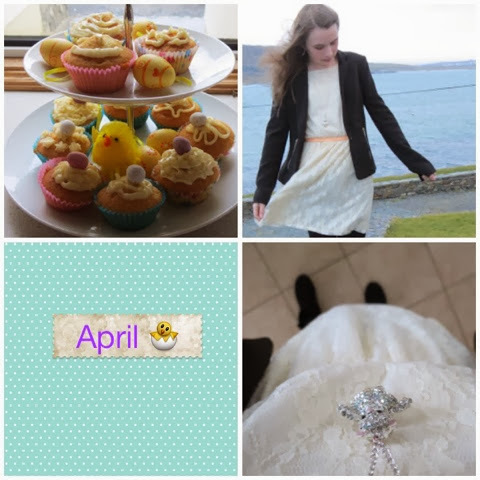 I was super chuffed with my blogging in February. I shared an OOTW during mid-term break and I loved my outfits that week! It really reflected my style. And funnily, I did a GRWM on Valentine's Day when I was actually doing nothing at all. Hah. I got my haircut that day though. February was a fun month (alliteration not on purpose)! 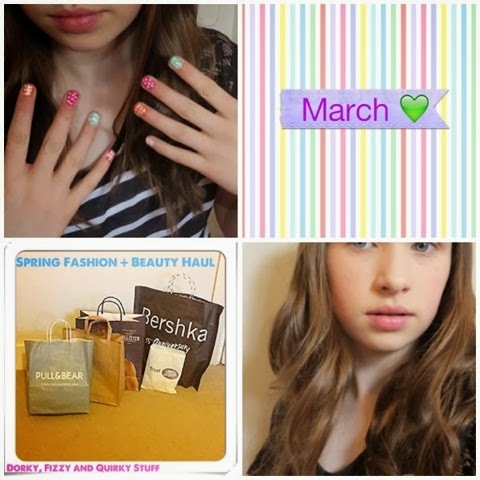 March was Spring Overload. Annoyingly I didn't do a St. Patrick's Day OOTD; I used cool spray hair dye from Claire's in green and orange on my hair and it looked class, but it washed out, kind of, because of the rain! I went to my local parade with my best friends in horrible weather but it was enjoyable anyway. I went to One Direction in March! It was insane. First in the holidays I went to my summer house in Connemara with my family. I know it wasn't summer (duh, Jane) but sometimes we go there for short breaks throughout the year. I just chilled with my family and celebrated Easter and I baked cupcakes, which is always the thing to do on breaks. After the relaxing, we went for four days to Morzine, France to ski! I love skiing; I have been nearly every year since I was six. It was really fun, as it always is. Annoyingly, I didn't post anything other than the OOTD in April. I can't exactly remember why. I really wanted to post though. As you just read in the April bit, I had a surprise birthday party from my friends, but my real birthday celebration was just as fabulous. It was a May Bank Holiday weekend, which usually happens on my birthday, and I went into Dublin from the day. I got treated to a Benefit makeover (my favourite makeup brand btw) and a few things in different shops. I had a lovely birthday! I was so happy with it all! I also had my Drama exam that weekend which went well. I actually filmed a video. Gasp. Yes, I did; I wanted to try it out. I don't think I really want to get it into all the YouTube-ing yet, since Junior Cert is next year. I'll wait 'til after that and see. It was a a lot of stress making the video, and I wasn't brilliant at it, hah. 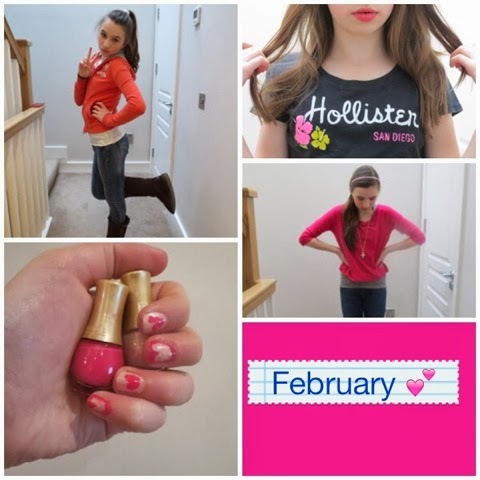 My Lookbook Challenge was brilliant distraction from boredom! Well, I wasn't bored otherwise, don't fret. I loved creating all the looks and adding trend tricks to them complemented it all. 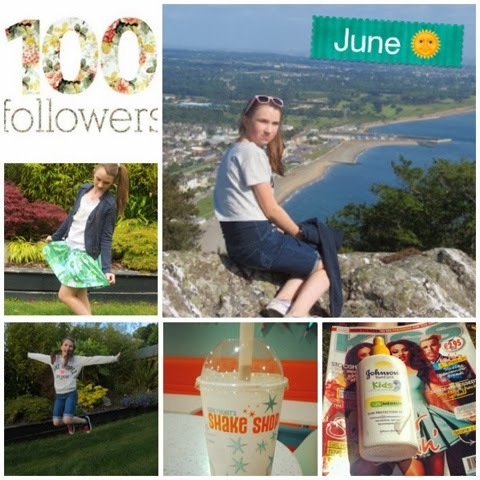 This was probably the month my blog started to receive a lot more views and stuff since I got 100 followers! 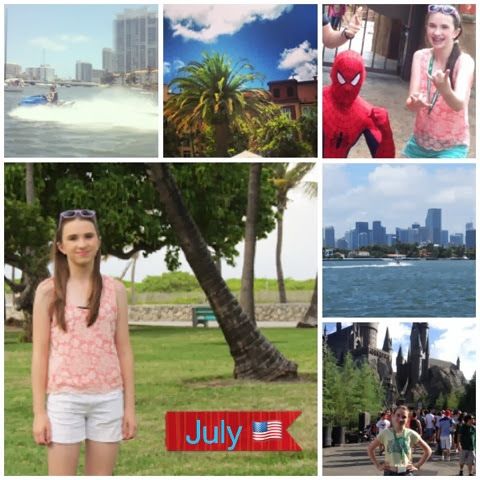 June was a amazing start to the summer! I ventured there on the 1st of July and it was an unreal experience. I've been to other states in America before, but Florida is definitely my favourite! You can read more about it in the posts linked above, because I don't want to repeat it all. Again, I shalt not ramble on my time at my summer house, so please refer to the link above! 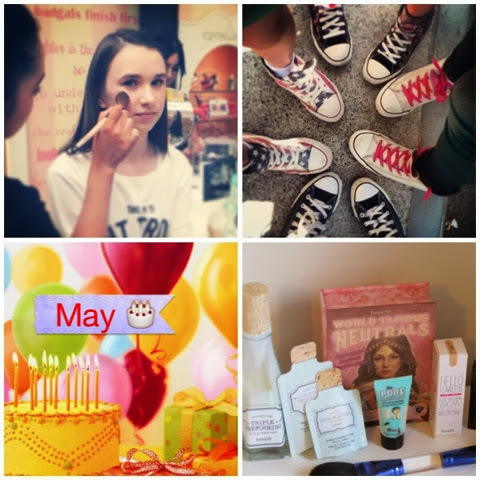 But in August, I did post a lot of beauty reviews which was fun to do. I didn't link them all here because you can just find them in my blog archive up above at the side in August. 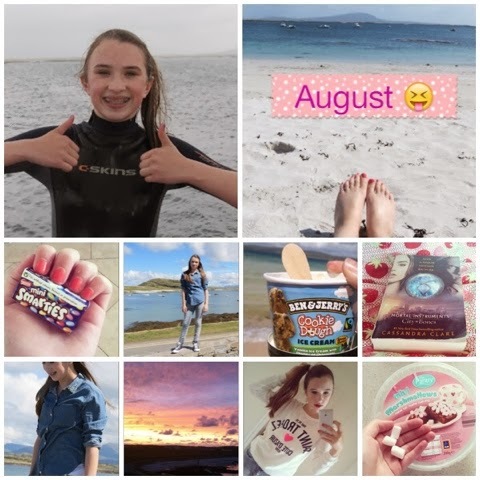 August was also the month my blog friend Gaby began #tbloggers which is a teen bloggers chat (not just for teens, it's okay if you're not a teenager) and it has really flourished since then! Well done Gaby! :) Grace and I also helped her develop it and it was a lot of fun. Ah I forgot! 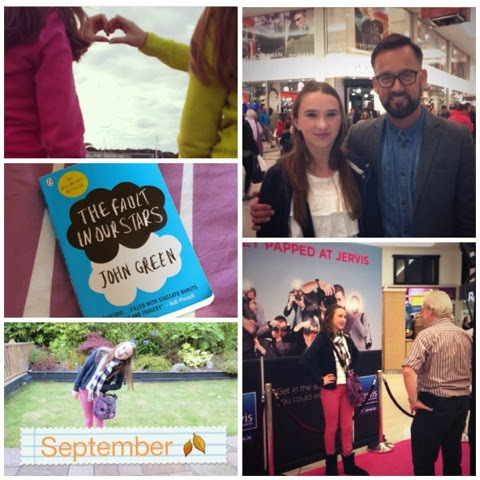 I got nominated in July (I think) for the Blog Awards Ireland and then shortlisted for it in August! I was thrilled! I settled back into school and everything and ended my BTS series. The most exciting thing about September was when I went to the Dublin Fashion Festival at Jervis Shopping Centre one Saturday. I bought stuff from Forever 21 and received a weird goodie bag, and I also met Brendan Courtney! The atmosphere was cool in the shopping centre, with models showcasing the latest trends and a photographer at the entrance! So September was mainly a month where I got back on track with everything in school and my blog; a productive few weeks I guess. October was very dark and Halloween-y on Dorky, Fizzy and Quirky Stuff. I did a fun but strange tutorial on Beauty and the Beast Halloween Make up (not very professional) and showed my 'smells like teen spirit' side in a grunge-y OOTD. 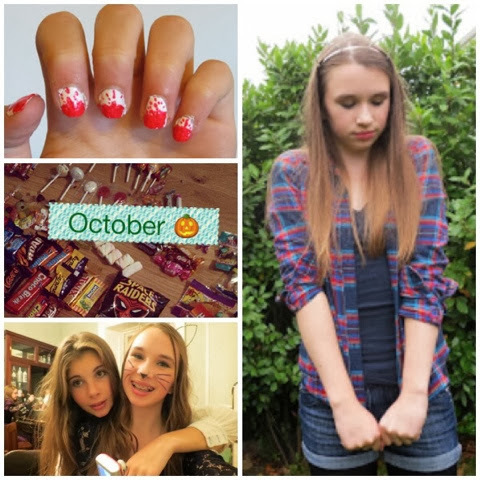 During Mid-Term I had a great sleepover with my friends and celebrated Halloween. Not much else, tbh. :/ ha. 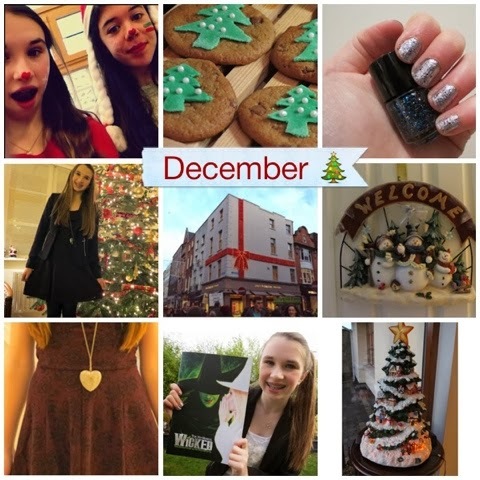 In November I got stuck into the books as I had exams the first week of December. I didn't really do much else, apart from my sorta winter-y blog posts. I saw Catching Fire with my friends though and it was AAAAAAAHHH kjgcwuhwcdq. Incredible. It's one of my favourite movies of all time now; a lot better than the first. I did my exams which were fine. I started a little series called #ChristmasBloggers as other ones like Blogmas where you had to blog everyday was a bit too daunting. 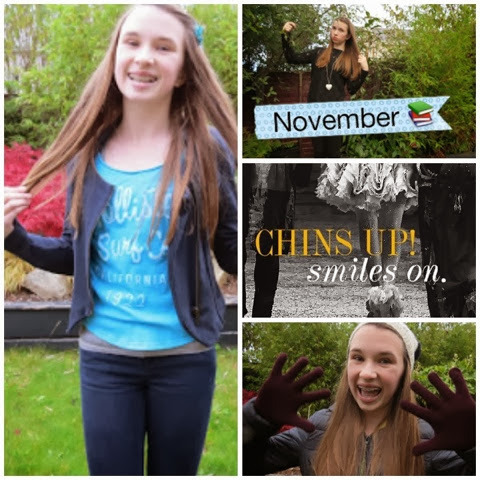 I asked other bloggers to participate, which they did sometimes, but I didn't mind since it was only a bit of fun. Not a bit of fun, a LOT of fun, for me anyway! I really enjoyed it; I got deep into the Christmas spirit. I had a wonderful Christmas, which you can read about in the series. So that's it fizzy, quirky dorks! Thanks so much for all your support and feedback etc. 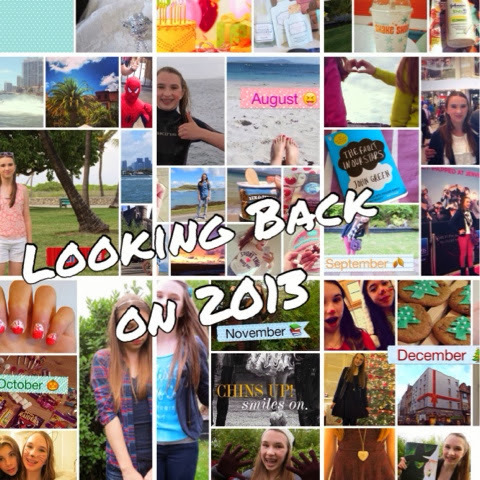 in 2013 and I hope you continue to read this blog in 2014! 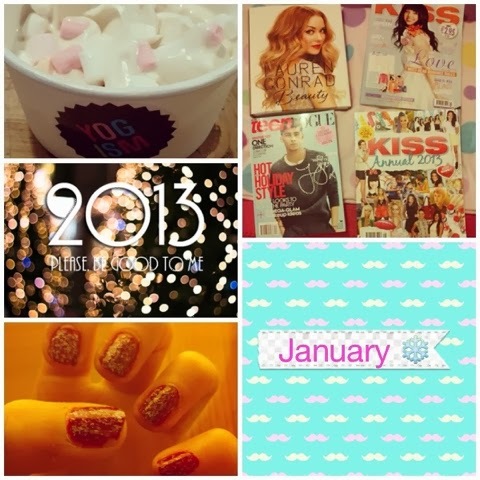 Would you like to see my reflection on my 2013's resolutions and my new resolutions for this year? Then click here!